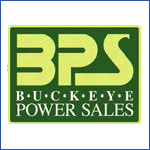 Founded in 1947, Buckeye Power Sales is a leading provider of backup power generation systems for homes and industrial environments. With four branch locations in Ohio and Indiana, the company is the oldest signed Kohler distributor in the United States. Buckeye Power Sales is also a premiere lawn and garden equipment dealer with a retail superstore outside Columbus, Ohio, where it offers commercial and residential outdoor power equipment, parts, rentals and service. Since 2007, Buckeye Power Sales has employed an IT technician to manage the infrastructure for all four locations of its power generation and retail businesses. Not surprisingly, the job got mired in the usual Help Desk issues that are present with maintaining 120 workstations and a couple dozen virtual servers — all of which were aging and slowing down. The focus on keeping the infrastructure in order left IT Manager, Jason McCune, with little time to focus on larger IT projects, such as helping to implement a critical new ERP solution and upgrading their under-performing infrastructure. "I needed help so I could turn to the big projects," McCune recalls. "We started looking to hire more IT staff, but when Affiliated approached us, they made us an offer we couldn't refuse." Initially, Affiliated, a local technology services company in Columbus, provided McCune with a much-needed Help Desk team to troubleshoot the usual daily IT problems, from server malfunctions to misbehaving software. As part of Affiliated's OneSource Management Services, McCune says the Help Desk cost much less than hiring and training IT personnel. Affiliated also provided proactive management services for monitoring servers, disks and workstations. "If they see a problem, they let me know. If I don't have time to handle it, they solve it for me. Even with our most complex software, there's never an issue they can't fix," he says. Affiliated's role at Buckeye Power Sales quickly expanded to support McCune with the big IT projects as well, such as the ERP implementation. With extensive experience in many industries, including distribution and retail, McCune stresses that their advice is based on lessons learned, not guesswork. "Their technicians and engineers have the expertise and experience having gone through the pain of working out the little kinks. The fact that they've 'been there, done that' gives us tremendous confidence in executing complex tasks," he says. A good example — the refresh of the company's aging infrastructure. Having outgrown server capacity and storage, and with the ERP solution about to add even greater demands on the system, the company debated whether to implement something big or just add on to what they already have — the band-aid approach. To help with the decision, they turned to Affiliated for advice. Affiliated conducted a thorough review of the existing infrastructure, taking in consideration the future goals of the company, demands of the ERP solution, and cost. They then met with Buckeye Power Sales executives to present a solution that would help them upgrade now with an eye on the future. "They explained that they weren't recommending the biggest system, just the one that would fit our business today as well as we continue to grow in the future," McCune says. As part of the upgrade, Affiliated replaced two aging hosts with a higher-level VMware® cloud host, improved storage with a Dell EquilLogic® solution, and added all new networking, higher-end switches "and did things I'd never seen before," McCune adds. "Affiliated is loaded with engineers who know what they're doing, and the best part is, they're always available to us." Affiliated also reused existing servers to build a disaster recovery solution, saving on new hardware expenses. While Affiliated has helped McCune save thousands of dollars a year in labor and capital costs as well as saving fees on hiring consultants for strategic planning, the biggest savings has been his time. "They handle my daily IT chores, even when I'm working from remote sites. If I have a question or idea, I bounce it off them. When you're a one-man team like myself, Affiliated is an invaluable partner to have around," he says. Since 1993, Affiliated has been helping growing and midmarket organizations identify, evaluate and implement technological solutions to improve operational efficiency and increase revenue. As a member of the Microsoft® Partner Network certified in both Microsoft Platform and Microsoft Dynamics CRM solutions, as well as a VMware Enterprise Solution Partner, Affiliated specializes in providing complete technology solutions including both software and services to organizations in multiple industries including distribution, manufacturing, health care, professional services, government, and not-for-profits. "I've always looked at our relationship with Affiliated as a partnership. They understand our company and they're available anytime we need them, whether it's for an IT Help Desk issue or assistance on a major project. Their team is an extension of our IT department." A mid-size Ohio distributor and retail company lacked the manpower to handle the usual day-to-day issues of maintaining an aging IT infrastructure and still manage large IT projects and implementations. Affiliated's OneSource Management Services filled in the gaps, providing a complete IT Help Desk team, highly trained technicians to assist in any size IT projects, proactive centralized IT management, and high-level consultation services. Expanded IT team without hiring new employees, saving on labor and training costs; freed up the company's IT resource to focus on larger projects, including a critical ERP implementation; saved time and money on consultants, hardware and strategic planning. "When we encounter an issue we can't resolve, the biggest benefit to me is that I can fall back on Affiliated to figure things out and get the job done."